Multi Media LLC | How do I use emoticons? Home › Chat › How do I use emoticons? While in the broadcaster's "Chat" tab, click on the smiling yellow face to the right of the text entry bar. This will bring up some emoticons that are great for using in chat. 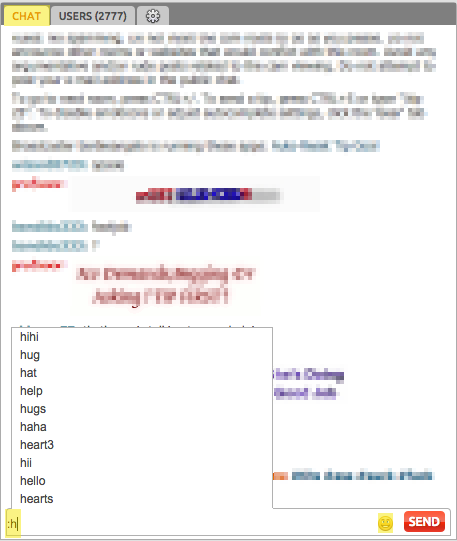 You can also type ":" and the first letter of the emoticon you would like to use into the broadcaster's text entry bar. You will be provided with a list of emoticons that begin with that letter.